The Economic and Financial Crimes Commission (EFCC) and the Office of the National Security Adviser (ONSA) have discovered $9 million cash at the residence of the sacked Coordinator of the Presidential Amnesty Programme, retired Brig.-Gen. Paul Boroh. Boroh, who was Special Adviser on Niger Delta to President Muhammadu Buhari has also been arrested. The discovery of the cash was made a few hours after his arrest by a combined team of EFCC and operatives of the Office of the National Security Adviser (ONSA). The Head, Media and Publicity of EFCC, Wilson Uwujiaren, confirmed the arrest and cash recovery. 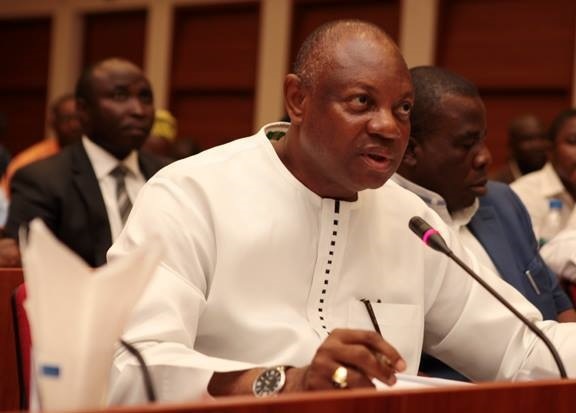 A senior security agent said Boroh was picked up from his home in Gwarinpa, Abuja, on Monday. He was reported to have been taken back to his residence at about 3 a.m. Tuesday by the security operatives.